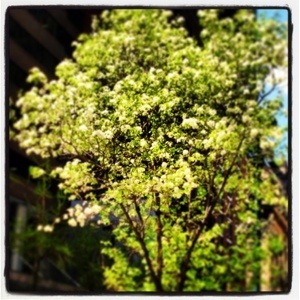 The ideas below are what put “spring” in my step and since today happens to be the first really beautiful day in New York, that goes a long way and I see 60d and 70s on the forecast through the weekend. Few fabrics are more versatile than denim. A well-cut shirt can look as awesome tucked into pants as it does as a topper for a dress (and it looks like a completely different piece to boot!). Colorful denim is awesome, but we are talking staples here, and when you are giving a gift, it’s always nice to give an investment piece. For warmer weather denim, a nicely-made denim jacket (1969 Denim Jacket $69.95, Gap.com) and white jeans (Cropped Matchstick Jeans, $115, JCrew) fit that bill. Topsiders got a bad profile in the 80s (ok, lots of things did), but as with most trends, they are seeing a resurgence. These Sperry Patent Boat Shoes (Women’s Audrey Slip-Ons, $80) are really adorable and make me want to sprint to the next dock and spend the day on a boat with the wind and the sun in my face. And these Michael Kors Espadrilles ($135, Zappos) feel like what I would slip into after docking–can you tell I have this whole thing planned out in my head? Yes, I know…there’s an App for that. No one loves their apps more than me, NO ONE. But remember when we used to play board games. And shake dice. And play with actual people (not avatars)? Two of my favorite games to play are Travel Yahtzee ($19.99 List Price, Amazon) and Travel Backgammon ($32 List Price, Amazon). 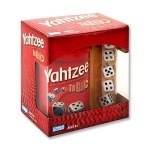 Even though they both involve dice, they couldn’t be more different–Yahtzee is essentially craps whereas Backgammon feels almost regal–both are so fun, and incredibly portable. Picnics just got more playful! As the weather gets warmer, I need to change my beauty regimen accordingly as well. During the colder months, i use Clinique’s Dramatically Different Moisturizing Lotion ($25, Nordstrom) but when April comes around, I switch to the Dramatically Different Moisturizing Gel ($25, Nordstorm, pictured) which is just as hydrating, just not as heavy. Also in warmer weather, I look for products that have extra sunscreen, particularly on areas that get lots of wear and tear–like my lips. Sugar Lip Treatment ($22.50, Sephora) comes in a variety of colors (I have four) and is SPF 15.